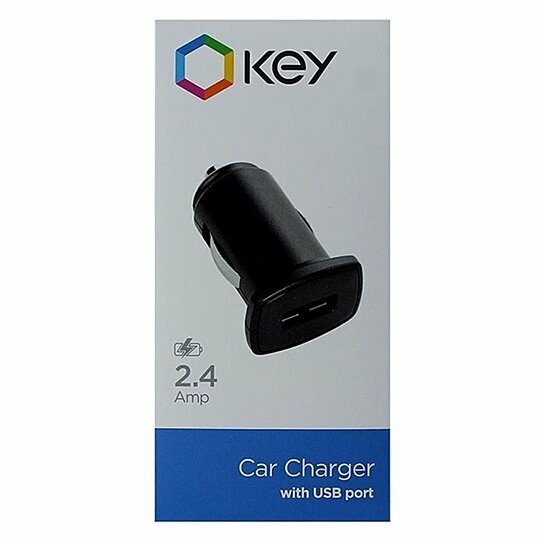 Key Products 2.4A Car Charging Adapter. All Black finish on adapter. 1 USB Port.